Kurt is a young boy that falls asleep on the bus home and upon awakening finds that he’s been stranded on some strange planet. What he thinks will be just a matter of waiting for the next inter-planetary bus to arrive quickly turns into a journey across this new strange planet to uncover an evil plot all while he tries to find a way home. 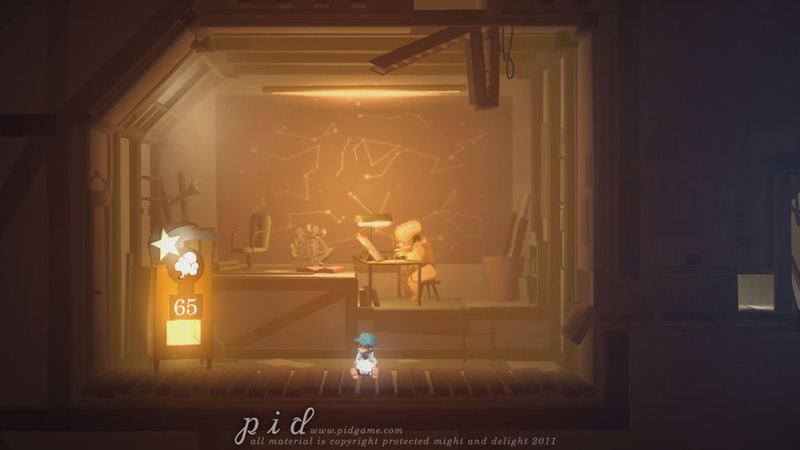 Pid’s story isn’t going to blow your mind, but it serves its purpose well enough and provides reason for everything you do within the game. 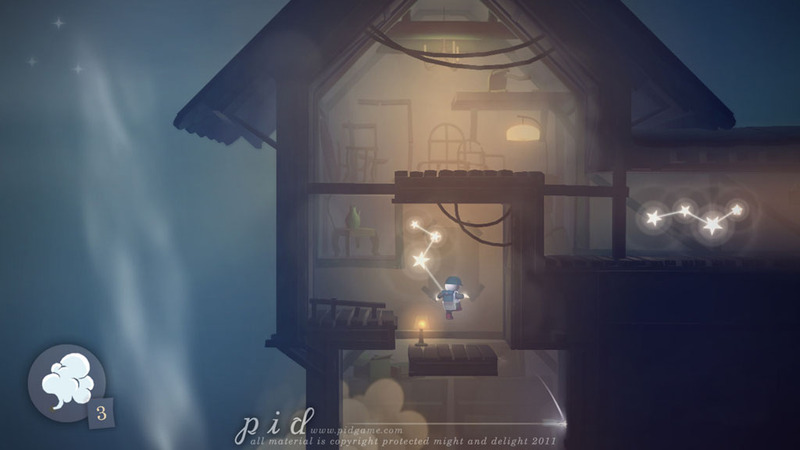 Some might want to brush Pid off as yet another PS3 indie-platformer for PSN, but if you give it some time you’ll see that it absolutely deserves a chance. As Kurt starts his journey he quickly discovers some sort of energy orb that attaches itself to Kurt’s hand. It is through this that you gain the ability to throw up to two orbs at a time on various surfaces to create a gravity well. These gravity wells will push you in whichever direction that they’re pointed allowing you to reach higher platforms, cross long gaps, or obtain stars (the game’s currency) that would otherwise be out of reach. All of the puzzles and obstacles that you’ll face throughout the game are thus focused around these gravity wells. Mastering their use will require that you are very quick on your feet as well as ensuring that you’ve thought through everything in advance. Sometimes this means planning five to six steps ahead as you won’t have time to be planning your next step once in the middle of the action. You also have to be aware of the fact that Kurt can only take one hit before dying. Due to this Pid is a very challenging game. Though, as you progress through the game you can purchase vests to protect you. It clearly derives a lot of design choices from oldschool platforming adventure games and it does a really good job of doing so. I may have died over three hundred times throughout the duration of the game but I was never once frustrated. I simply started from the checkpoint and tried again. (It should be noted that Pid is VERY forgiving with checkpoints. Each time you respawn you are almost guaranteed to be right where you left off.) Emerging victorious from boss fights, solving puzzles and successfully manipulating gravity in some very tight situations always feels rewarding in a way that not many games are capable of doing. Aside from the gravity wells you’ll also come across numerous tools that will help you throughout your adventure. A cloud of fog will help you sneak past enemies, a bag of dirt will help to unveil hidden platforms, and bombs can be used to destroy enemies that you might not want to deal with otherwise. Each of these additional items aren’t always required to progress through the game but they do come in handy and serve to flesh out the gameplay. These items can be acquired in two different ways. Enemies will sometimes drop them whenever they’re killed or you can purchase them at kiosks throughout the game with the stars that you collect. Stars are grouped in constellations and scattered throughout each level mostly in plain sight. Most stars can be pretty simple to obtain while others might take some puzzle solving. 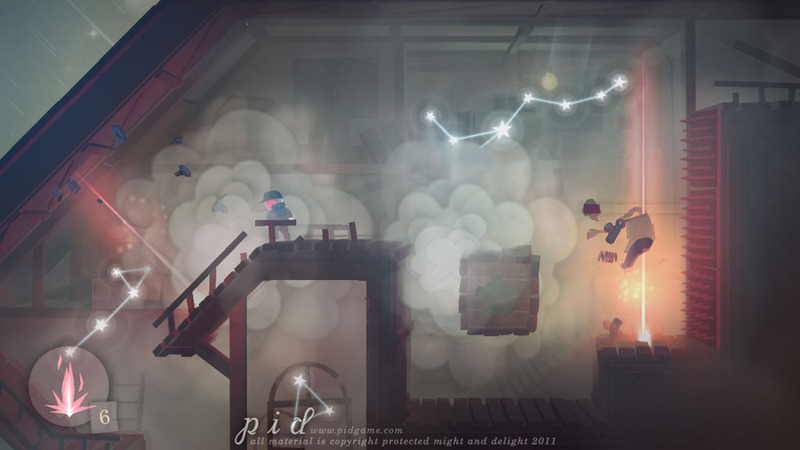 The game also features hidden constellations that are worth more than the average star as well as twelve souvenirs that are hidden throughout the game. Perhaps I just don’t have a good eye for collectibles but on my first playthrough I only managed to find the first souvenir. The others are likely hidden somewhere in the invisible rooms that you’ll find throughout the game. 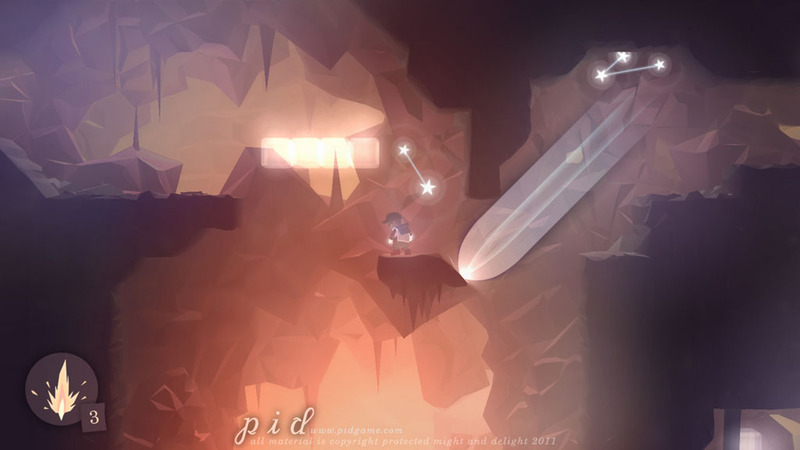 Something Pid does very well is that it offers tons of variety throughout gameplay, scenery and music. The later two we’ll cover later. Up until the end the game is consistent in introducing new concepts and ideas to the core mechanics of the game. Pid absolutely gets as much mileage as it can from the gravity wells and, with the exception of one short level, it’s all done really well. On top of that the handful of bosses that you’ll face throughout the game are all fun. Each boss fight has you doing something totally different with the abilities that you’ve been given and while they can be quite challenging they were always very rewarding to take down. 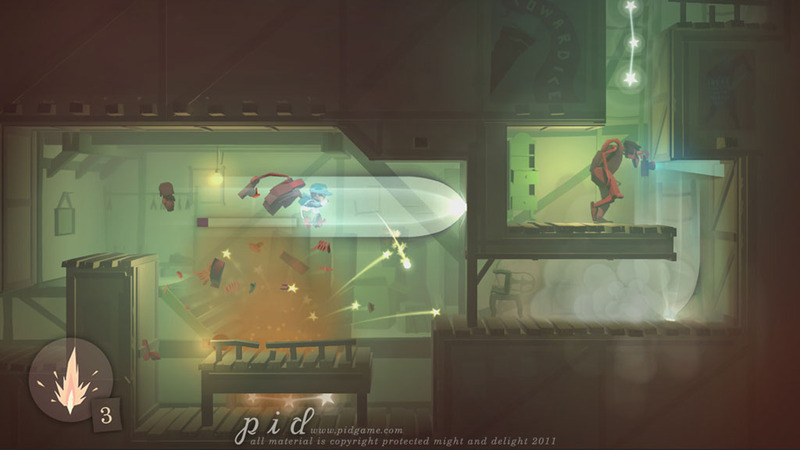 Technically Pid certainly isn’t the best looking game ever made but the art direction in Pid is absolutely fantastic. 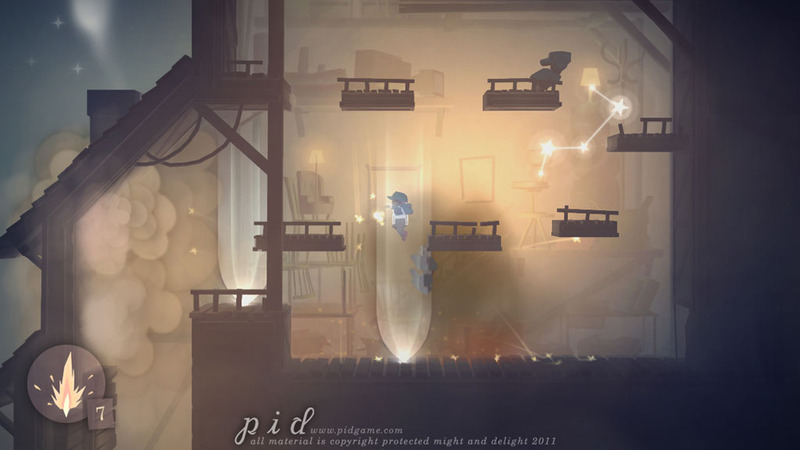 Pid takes you through tons of different locations each of which look exceedingly different from the last. 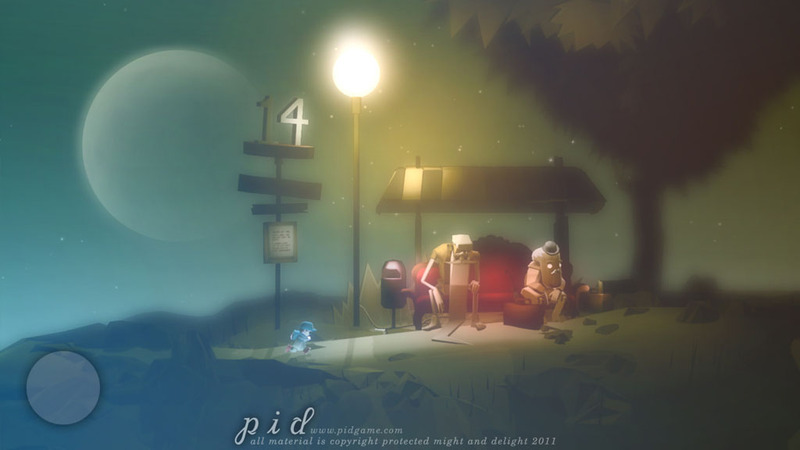 From the look of the characters all the way to the backgrounds, Pid is fantastic to look at. 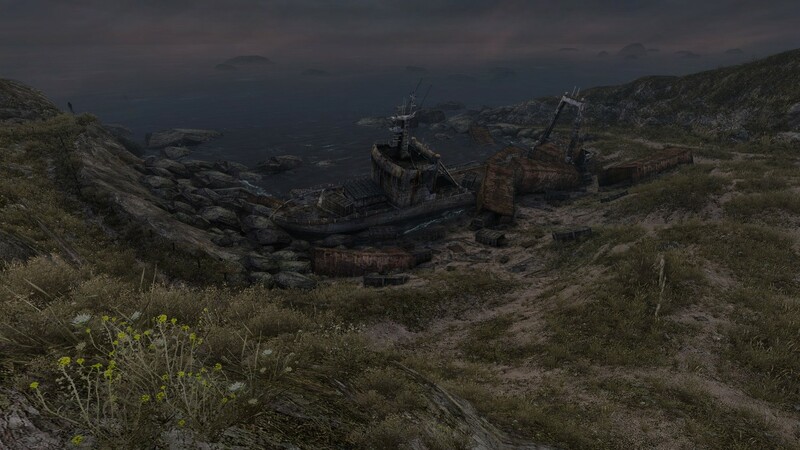 I particularly loved the way the farm and city levels looked within the game. What is unfortunate however is that in certain situations Pid does suffer from a little bit of screen tearing. It’s nothing that will take away from the game itself but it is noticeable enough. 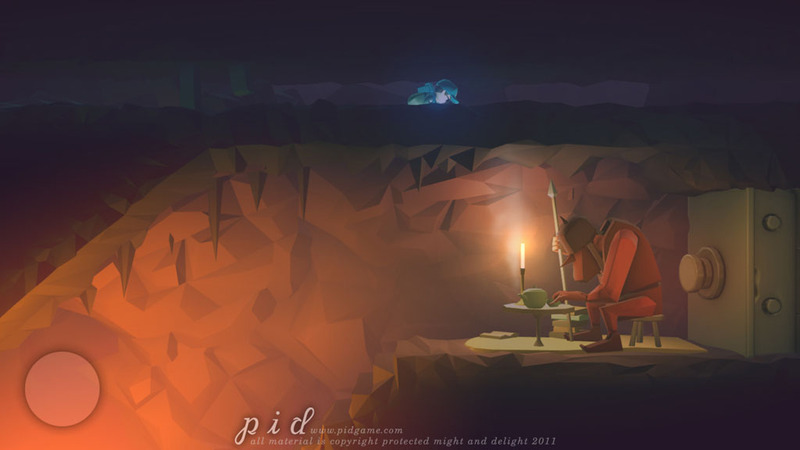 If for whatever reason you don’t have any interest in Pid I would still urge you to at the very least check out the game’s soundtrack. 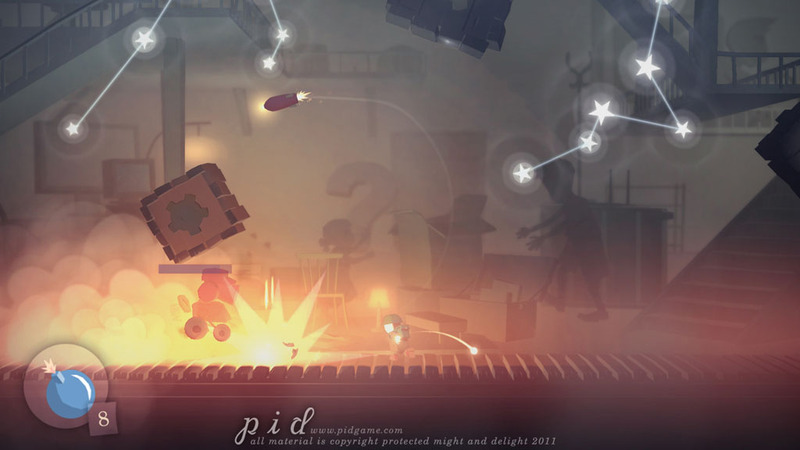 Pid’s soundtrack is done by Retro Family and covers a wide range of genres and styles that fit really well with the game’s atmosphere as well as help it to stand out. I found myself pretty often tapping my foot or nodding my head along with each new song throughout the game. There’s even a really cool part where the game turns into a maze, the entire pace of the game changes and it’s backed with a really strong jazz track. On its own, the game is very solid but the superb soundtrack does a really good job of making the entire package that much better. 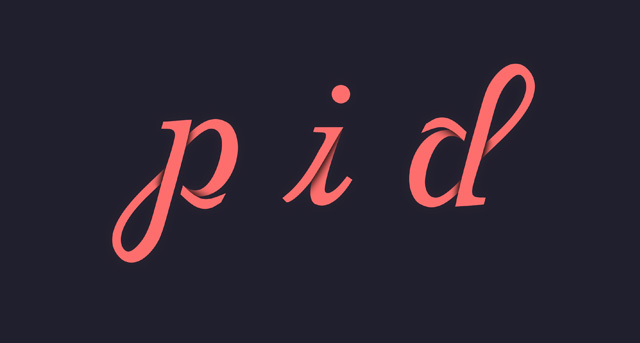 I love nearly everything about Pid but there are certainly flaws that I shouldn’t ignore. As mentioned before Pid does suffer from some screen tearing. This only happens in a few areas throughout the game but it is noticeable when it does. I’m not particularly bothered by things like that but I do know that some people hate it. Also at the end of the maze portion that I mentioned above Pid forces you to guide a light through the rest of the maze which is pitch black. This section isn’t all that bad but it was really the only use of the gravity wells that I didn’t enjoy. There are also a couple of areas where I felt some of your extra abilities could have been used better. The bag of dirt also probably could have been a little more clearer when revealing hidden platforms as it took me sometime to actually see where I needed to jump. All of that said I never found any of these things to take away any enjoyment that I had from the game. 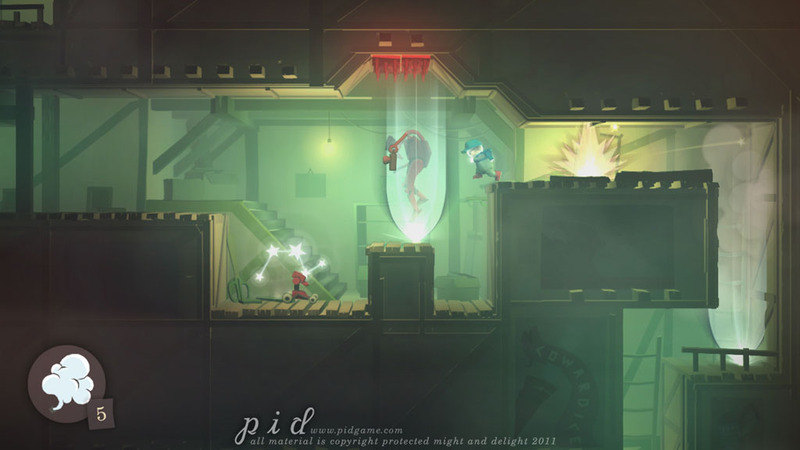 Pid features a co-op mode, in which each player can only use a single gravity well, as well as an unlockable hard mode. I’ve played through a good chunk on the hard difficulty setting and while I’ve probably already accumulated more deaths than I had on normal I’m actually finding myself having even more fun with the game. Pid is fantastic from top to bottom. It’s some of the most fun and rewarding gameplay I’ve experienced in recent memory and one that I’ll be going back through numerous times in the future. Don’t let the difficulty scare you off. You will die and you will die a lot. There are areas that will feel insurmountable at first, but when you finally clear these areas that’s when you’ll feel a great sense of accomplishment and understand why Pid is great. It is satisfying from beginning to end and a game that everyone should give a shot. I don’t think you’ll be disappointed. Might & Delight gets tons of mileage out of the gravity well mechanic. Lots of variety in gameplay, scenery and music. The art in the game is really great. One of my favorite soundtracks in recent memory. The pitch black section of the maze level. Bag of dirt doesn't work as well as it could.